New and shiny, the Friday 28.1 open-frame is reduced to the essentials, but lacking nothing! Friday 28 is light! We put it on a diet…by replacing the suspension fork with an aluminium fork and by using our new Moustache Flexbar handlebars. 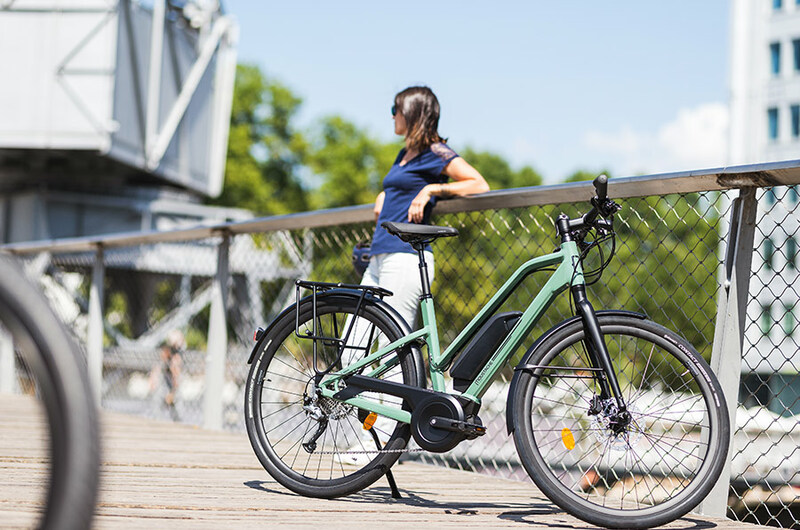 Made in France by our friends at Baramind, it filters vibrations just as well as a wide tyre! And because we can also shed weight by selecting lightweight tyres, we’ve chosen Continental Contact Speed; light, grippy and fast rolling! And there we have it, 3kg less on the scales! Perfect result! 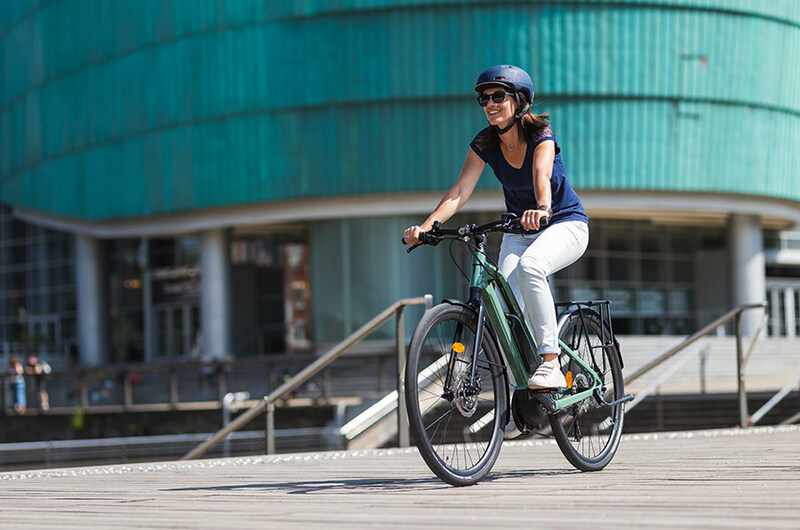 Bosch Active Plus. 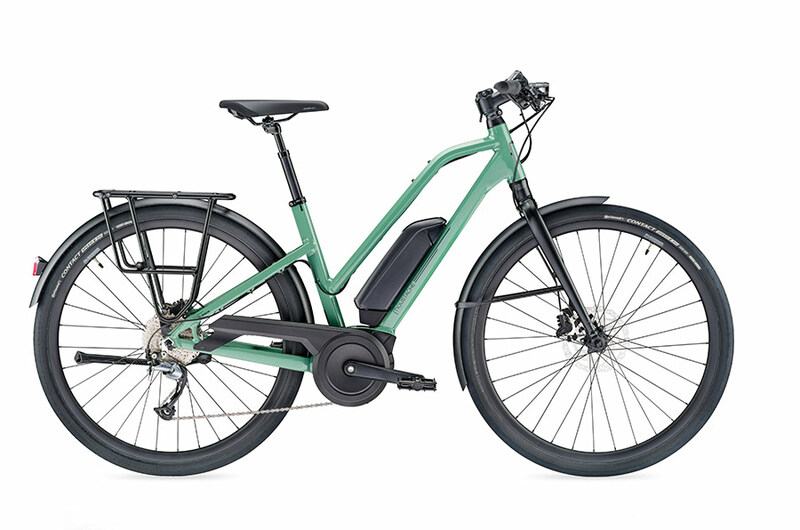 Friday 28 has been especially designed for the Bosch Active Plus motor. 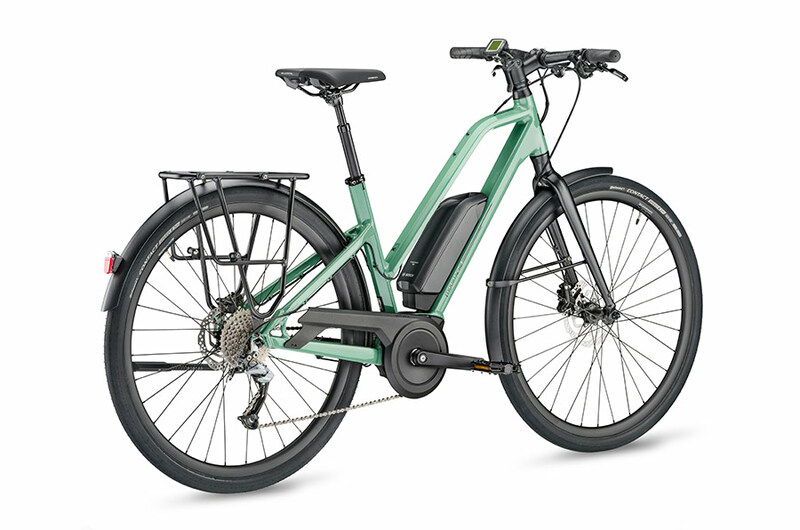 This is extra quiet, light, and so intuitive to use that you’ll surprise yourself by passing the 25 km/h limit without even realizing it. We love it! Friday 28 is minimalist but also practical! Taking off what’s superfluous doesn’t mean that we miss out! 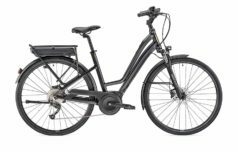 And especially not with the Moustache Quick-Park stem which means we can fold the handlebar by 90° in just a few seconds. Very handy if we need to leave our Friday in a corridor for example! Same thing for the luggage racks with QL3 supports that attach the Moustache by Ortlieb panniers in a click. Easy! Gears Shimano 9 speed gears. 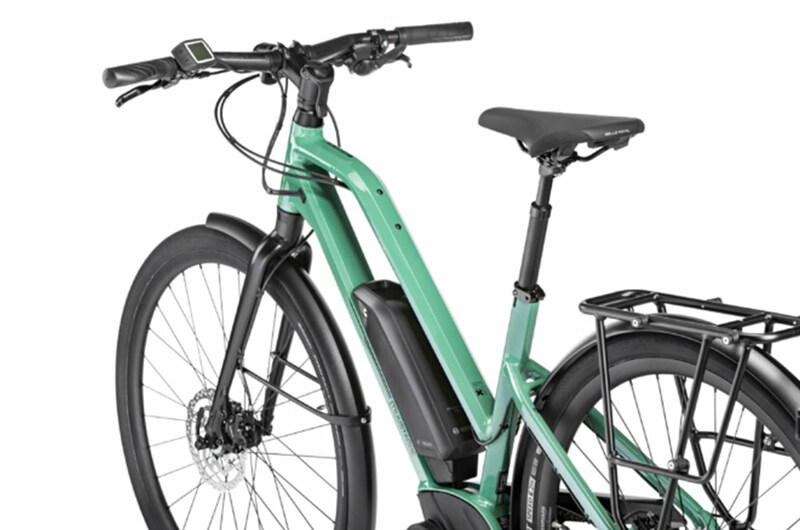 If it’s a lightweight road ebike you’re after, then look no further than the amazing Friday 28. 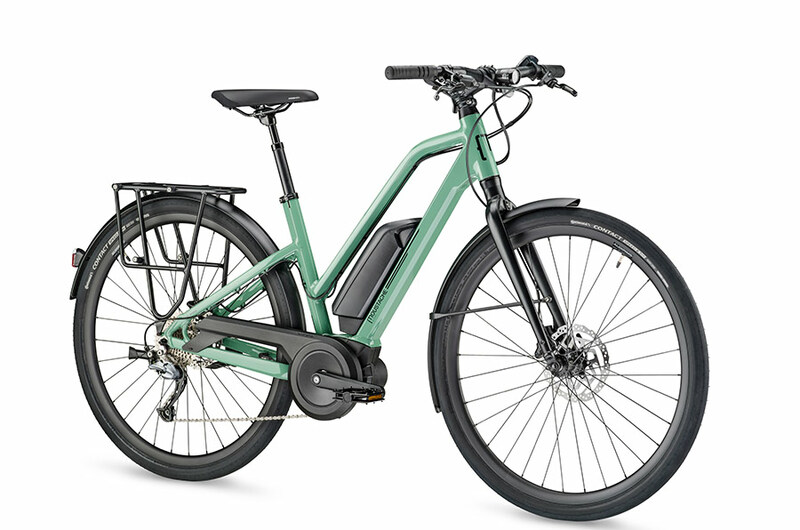 It’s not just light (for an ebike), it’s quiet too – yet powerful. 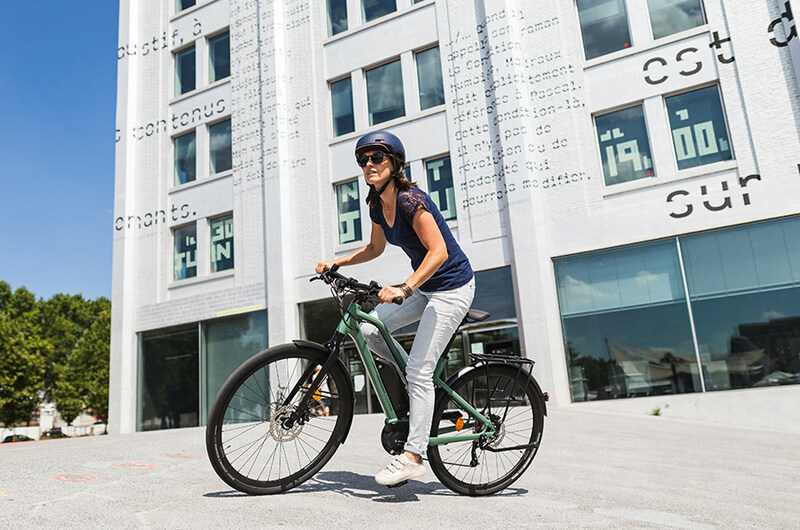 Its Quick-Park stem allows you to turn the handlebars in seconds to fit in a passageway, and those handlebars are not only light but flex, which makes it easy on your arms. Clever stuff, as we’ve come to expect from Moustache! 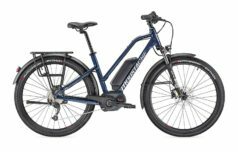 The step-through frame makes it easy to hop on and off, and the choice of frame sizes means there will be one that fits you perfectly. And don’t forget our bike customisation service, where we can fit a saddle of your choice!